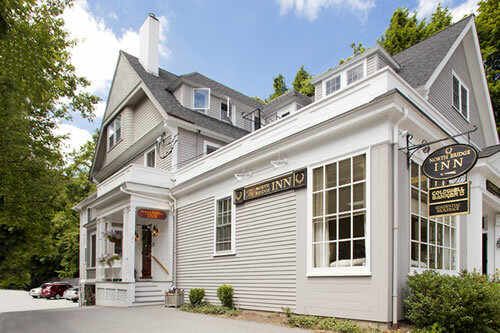 The North Bridge Inn, a Concord MA bed and breakfast, is located just off Monument Square in downtown Concord … a short walk from the Concord Main Street shopping district and local Concord historic attractions. 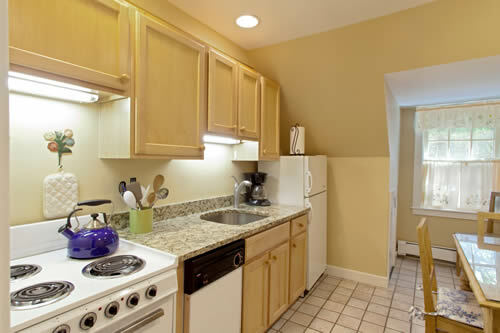 This Concord B&B Inn has six elegant, spacious and individually appointed suites. 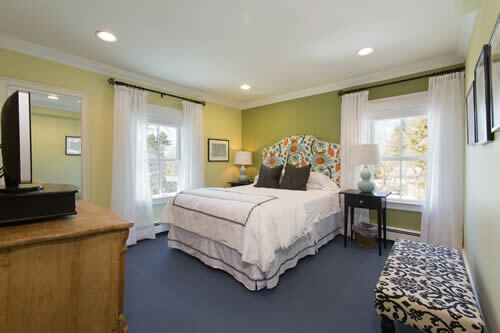 Each with queen beds, tiled bath and kitchen. All have cable LCD TVs with DVD available, telephones, a work area and a sitting area. A full hot breakfast is served in our beautiful morning room. We welcome business travelers, romantic couples, families, small groups and retreats. The North Bridge Inn was built in 1885 by Jonathan Maynard Keyes, owner of the town’s highly successful sporting goods emporium which was located on Walden Street. A hearty, jovial man who had a picturesque resemblance to President Theodore Roosevelt and once met Mr. Roosevelt while Roosevelt was campaigning in Concord. He lived here until his death in 1933. Considered a “modern home” in the late 1800’s, the house remained unchanged (even surviving the hurricane of 1938 with little damage) until the 1960’s. At that time the building was converted into commercial space. The Victorian screened porch on the front of the building was torn down, a retail space was added to the first floor and bedrooms suites to the second and third. A woman’s clothing store then occupied retail space which is now a real estate office. The rest of the building was taken over by the Colonial Inn and used as their annex. 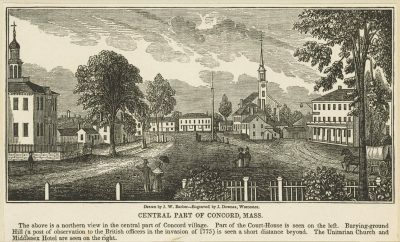 In 1993, Concord resident Cheryl Roderrick took over the Colonial Inn’s lease on the space and turned it into a small Concord bed and breakfast, the North Bridge Inn. In 1998 the current owner, Heidi Godbout, bought the Concord B & B from Cheryl. A lifelong resident of the area, Heidi graduated from the Carlisle and Concord Public Schools, Colby College and received an MBA from Northeastern University. Heidi lives in Concord with her husband, Steve. Major renovations were done to North Bridge Inn in 1998 and 1999 giving the it a fresh new look. 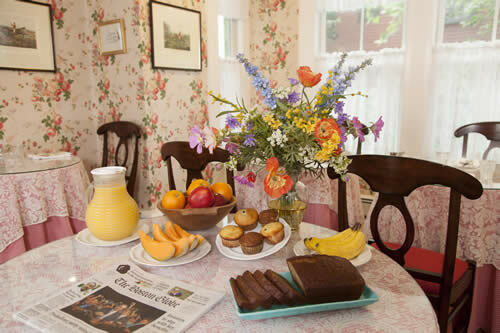 North Bridge Inn is now one of the most popular Concord Bed and Breakfast Inns in the town of Concord, MA.